Kailani, over at An Island Life, is sponsoring a Halloween photo contest. 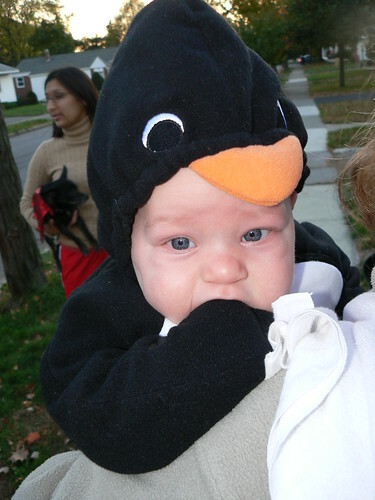 I entered my little penguin – aka Baby JSL Happy Feet. Please help me out by voting for my little guy. Here’s the place to vote. Just scroll down under the kid photo section and look for me TheAngelForever. To see the photos I entered you can click here. Thanks in advance for your support and don’t forget to vote before November 5th. Please support my little blue eyed penguin!!! Cookies may not be enabled (may not be Vista entirely this time). Kailani has a comment form to click on to vote as well as leaving a comment right on the voting page.